Jeanie joined Greaves Brewster LLP in May 2008 and works primarily with Rachel Wallis and Karen Hensman. She also helps with our accounts and credit control. 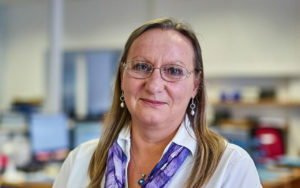 Jeanie has lived and worked in Cheddar since relocating from Kent in 1991, and has previously worked as a secretary and PA in both insurance and accountancy practices.